Researchers have provided considerations for soil temperature and its impact on this season's planting schedule. Ahead of planting season, experts from the K-State Research and Extension have provided an update on spring soil temperature and moisture conditions. As it turns out, temperatures have declined across Kansas this past week, after a very warm start to March. The current soil moisture status across Kansas also remains quite wet, despite a relatively low precipitation rate. For the week of March 30 through April 5, average weekly soil temperatures at 2 inches among crop-reporting districts ranged from 45 to 53 degrees Fahrenheit. Differences in soil temperature were related to large variations in air temperatures experienced last week. In the coming weeks, the experts believe that there will be increasing air temperatures, but cooler-than-normal state wind, which will slow soil temperature increases. This could ultimately delay the beginning of planting season for some producers. When it comes to precipitation, the experts are predicting above-normal rates for the entire state. This, in combination with the cooler-than-normal state wind, will also slow down soil warming. 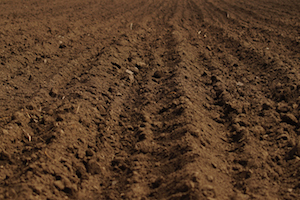 The optimal soil temperature for emergence remains above 55 degrees Fahrenheit – uneven soil temperatures around the seed zone can result in non-uniform crop germination and emergence. The average day for the last spring freeze (32 degrees Fahrenheit) is variable across the state, with the largest variability being in from southeast to northwest Kansas. More information about the planting status of summer row crops will be made available by K-State Research and Extension in the coming months.